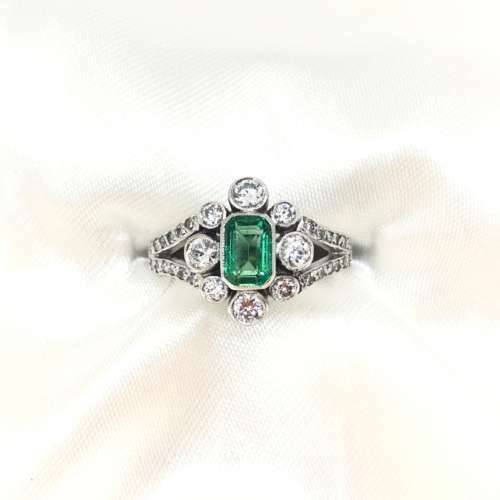 An emerald & diamond ring set in 18ct gold. The emerald is an oval cut, claw set .40ct stone with two round cut diamonds that total .25ct. G/H colour & SI1 clarity. Pre-owned.